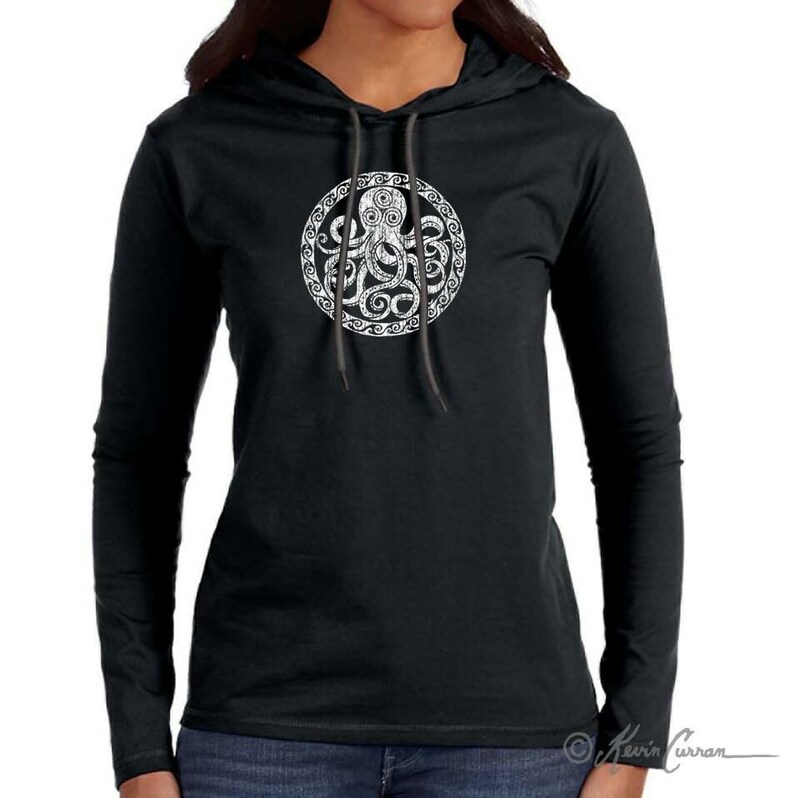 Octopus Design on a Ladies Long Sleeve Hooded Shirt. This shirt is made of soft, light weight, 4.5oz Ring Spun Cotton. These shirts run slightly small, so you may want to order a size up. A sizing chart can be found in the pictures above. © 2017 CharlestonApparel.com. All Rights Reserved.